In the 1990’s life coach and motivational speaker Tony Robbins came up with the idea of 6 core needs that we all need to satisfy. These needs are the real non-negotiables in relationships but many people aren’t even aware of them. Whether or not you take this idea as gospel truth or not, it’s interesting enough to play with to see what we can learn about ourselves. According to Robbins, as we seek to meet our core needs tension arises, because some of them are contradictory. 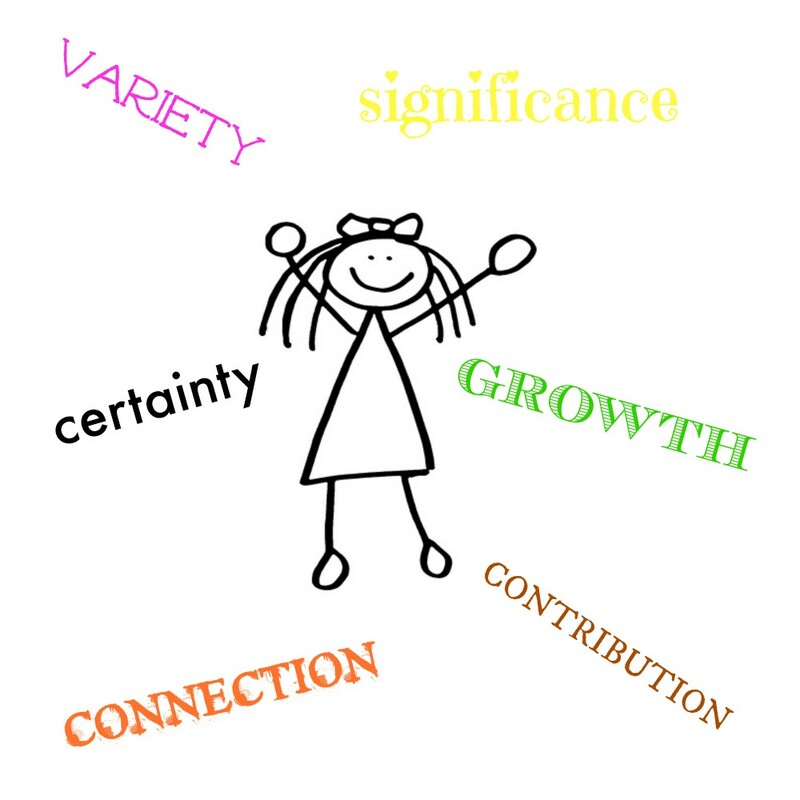 For instance, if we prioritize significance, the sense of connection might suffer. Or, if we feel that variety is the spice of our life and our significant other has a greater need for security, tension will arise within the relationship. I have created an exercise that you can do either on your own or as a couple. You will need a tarot deck and an angel or other type of oracle deck. The reason for adding an oracle card is that it allows for Spirit to show you the most healing thought right now and it could potentially point to a resolution you might have otherwise never thought of. You can use any Tarot deck, but I find that the Osho Zen Tarot does the job for this type relationship healing work. This is the need for security, comfort and consistency. This is the need for variety, challenges and excitement. The need to feel important, needed, wanted and worthy of love. The need for feeling connected with and loved by other human beings. The need for constant development emotionally, intellectually and spiritually. Giving beyond ourselves and giving to others. Solo exercise: Focus your thoughts on the relationship and read through the list. Find one or two core needs that you feel are not being met in the relationship. Focus on the first unmet core need. Pull a tarot card for what you need to know about your own role in this and then a second card for the other person’s role. Finally, pull an angel card and place it above the two tarot cards. Sit with the cards for a while and tune into your inner guidance. Write down what comes to you. Sometimes there is a resolution, but be prepared… sometimes the only solution is to walk away. Whatever answer comes to you, accept it as your own wisdom and honour it. You may like to pull an additional tarot card for an action to take. Couple’s exercise: Decide together which core needs to look closely at. It will be the ones which create tension within your relationship. You start with the first core need and pull a card each. 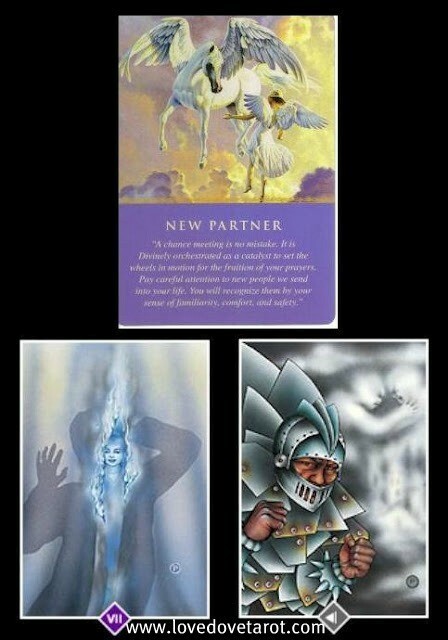 Pause and talk about what you see in the card images and how you feel this applies to your relationship and your lives. (CLICK HERE if you want to learn more about the meaning of each card) Take turns talking. Person one speaks first about their role in the relationship. Then person two speaks about his or her role. Then allow person one to speak about how they feel about the other person’s role and vice versa. However, be careful to not blame the other person – focus on how their behaviour makes you feel. Be as proactive and responsible for your own feelings and actions as possible and you’re halfway there. Now, it does take two to tango. Sometimes a resolution can’t be reached, so be warned – this is not an exercise for the fainthearted. Complete the exercise by pulling an angel (or other oracle) card and placing it above the two tarot cards. Sit in silence facing each other for a minute while you ponder the message of the angel card. Keep your breathing deep and relaxed and focus on the heart. How does this message contribute to your understanding of how the relationship tension can be resolved? Share your feelings. Conclude by thanking the other person for sharing. Keep in mind that there is no right or wrong. Some people decide to stick together even if their core needs are not being met within the relationship. Some move one. The choice is yours. Either way, having looked at your core needs within the framework of your most intimate relationship, you are able to move forward with greater awareness.